Genentech, the world’s first biotechnology company and the largest in terms of market capitalization, was founded in 1976 in South San Francisco. 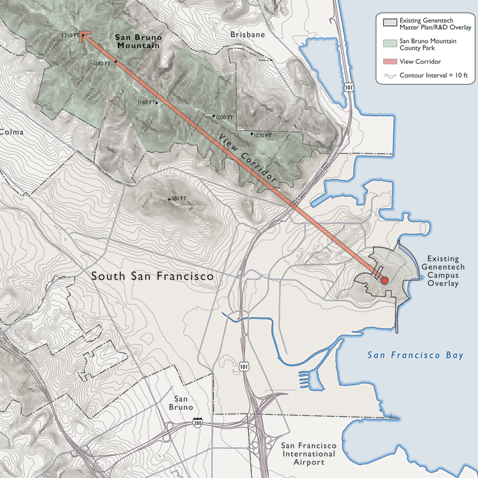 Over 6,000 employees are housed in office and research and development buildings on 90 acres of parcels scattered along the San Francisco Bay. Growth of the campus has been incremental, resulting from reuse/ redevelopment of existing warehousing/ industrial buildings. Due to rapid growth, Genentech is seeking to expand the campus to more than 200 acres, with an employee population of 15,000. D&B completed a master plan to provide a framework to guide this change. A principal objective of the assignment was to create a cohesive and unified campus with a distinctive sense of place, reflecting the campus’ hillside setting and capitalizing on vistas to the San Francisco Bay and the San Bruno Mountain. 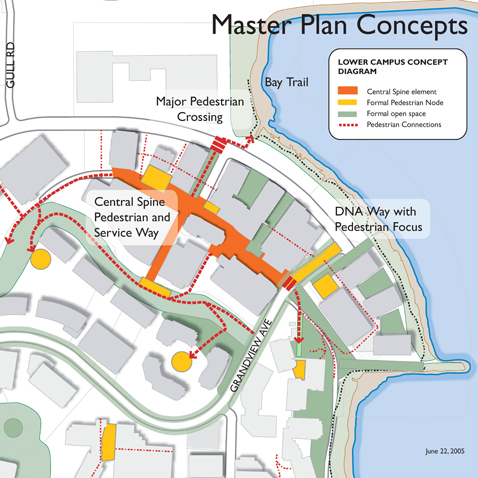 The new Master Plan addresses a comprehensive range of topics, including land use, urban design, transportation (including demand management, transit, parking, and pedestrian circulation), and infrastructure. 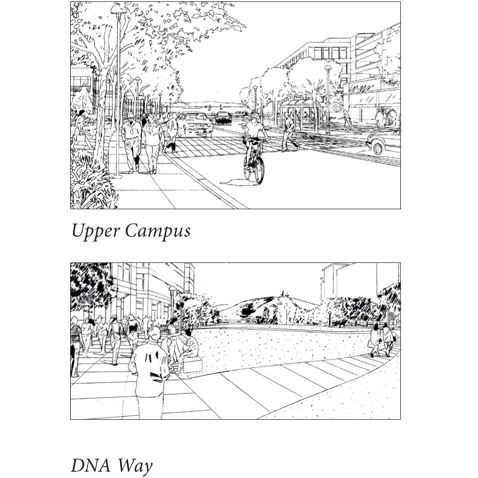 Campus design guidelines are also incorporated in the Master Plan. The Plan was adopted by the City in 2008.